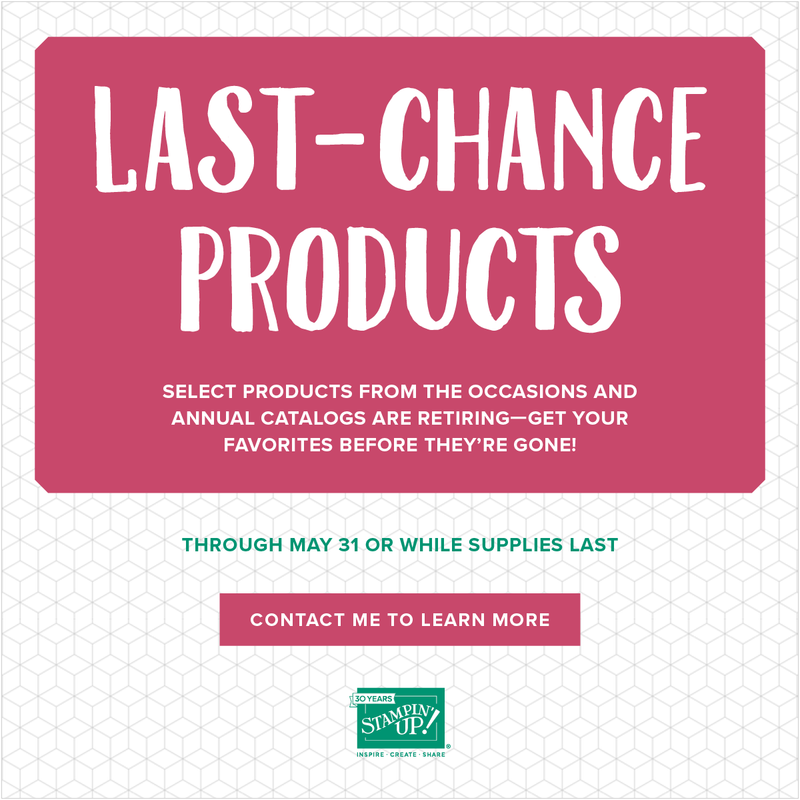 Don't miss out on any retiring products!!! Check 'em all out HERE. And remember, they're only around through May 31st or while supplies last.